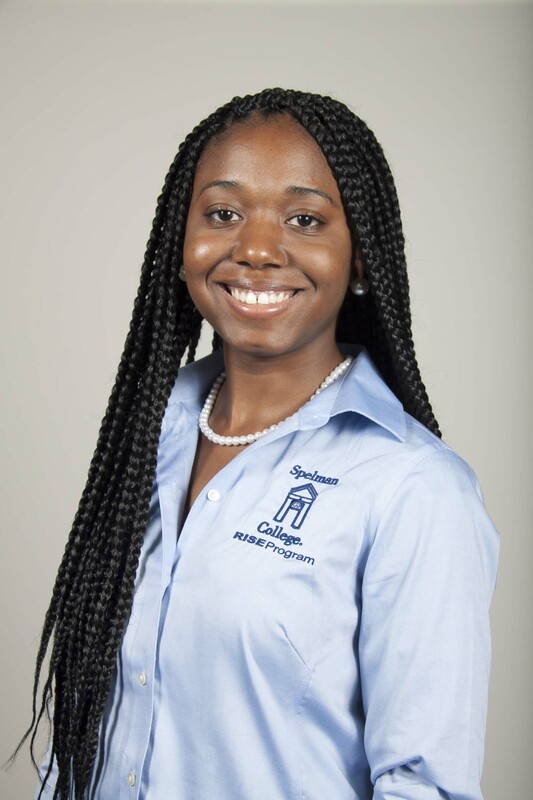 Kelsey Kenniel is a junior psychology major at Spelman College. She conducts academic research throughout the school year at Morehouse College under the supervision of Dr. Chris Markham. Her current research focuses on the duality of neuroscience and biological sciences. More specifically, she conducts research pertaining to PTSD induced Syrian Hamsters using models of social defeat, and she studies how various neurotransmitters, such as Neuropeptide Y, effect transmission and block the effects of stress and anxiety. Kelsey has also conducted research at Howard University in their psychology department. While at Howard University, her research pertained to the complex relationship between family structure and academic success, and how certain factors, such as spirituality, can help modify that relationship. Through her research experiences, Kelsey has found that her research interest lies within the realms of mental health and neuroscience. She hopes to fulfill these facets of psychology by earning a PhD and becoming a clinical psychologist. Kelsey also hopes to explore how to maximize positive aspects of minority communities to benefit their behavior and mental health, academic success, social interactions, and family structures.